I’d bet most new moms could totally relate to this: It felt like a huge part of myself was lost when I started staying home with my daughter. Because I wasn’t going out into the world as often, I didn’t need to get “ready” as often. I started dressing more comfortably and getting lash extensions to save time, in reality it really just made me even more lazy in a lot of ways. It was time to schedule a makeover at Sephora (the first one in two years!) 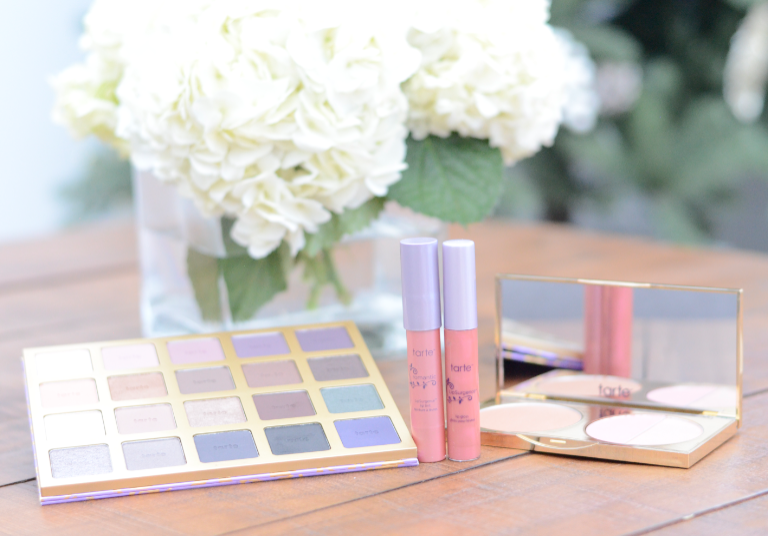 I was introduced and quickly fell in love with Tarte. I loved it all. The quality, the feel, how it wore, the coverage and even the packaging! I ended buying all new makeup during that trip. 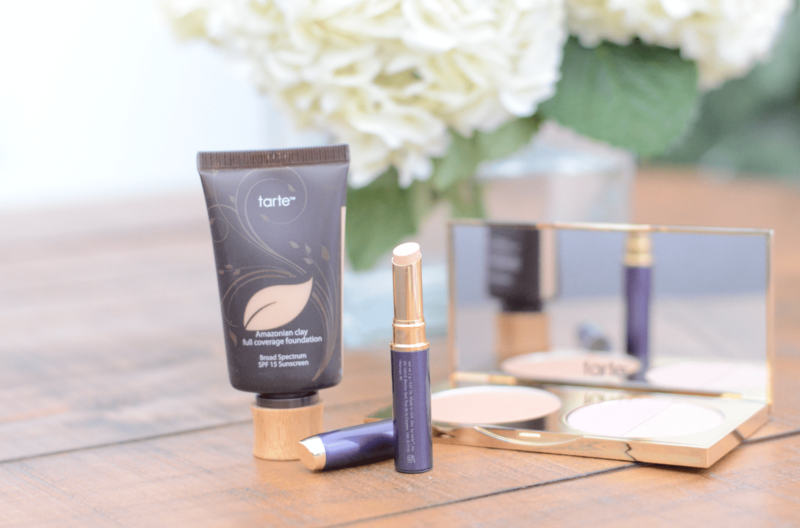 I chose Tarte Cosmetics (over the hundreds of others) because they were mineral based makeup that was still paragon, mineral oil, phthalates, triclosan, sodium laurel sulfate and gluten free. Basically, no yucky stuff and did I mention their products are AMAZING!?! In the next few weeks I’ve planned some new beauty before and after posts. Have you tried Tarte? What are your favorites and why do I need those in my life?